Data is one of the most important assets in an organization and the importance of keeping it safe cannot be underestimated. To enhance data security, it is important to lock your PC even if you step out for just some few minutes. Why? An unattended PC with an unlocked desktop is an invitation for unwanted attention. Even if you are at home, leaving your computer unlocked and running may expose your personal data to prying eyes or even leak confidential information that may end up in the hands of competitors. There are several ways to ramp up your personal security in your desktop. You might choose to lock it with a strong password, a lengthy PIN, or even try the Windows Hello. What if I told you there is a way to even up your security by making your USB drive act as a control key to your computer? This is not an armchair theory; it is a proven technique that works effectively and it’s also very easy to use. All you need to do is take out your USB drive and boom, you PC is locked—and the moment you plug it back your PC will unlock. However, it’s not always sunshine and roses. Even if you create strong passwords, relying on password alone is a big security misstep. 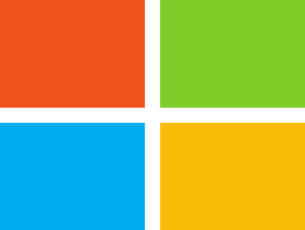 For those unaware, Windows login passwords are vulnerable and can be cracked via Brute Force Method. Brute Force method is one of the most popular hacking methods and it employs ‘permutations’ to pull all the possible combinations. When used with powerful Graphic Card such as the latest GeForce GTX 1080 that comes with 2560 processors, it will probably take a few days to weeks to crack the password using the Brute Force method. This is why the best password is both hardware and software based. Turning your USB flash drive into a security key is what makes your desktop impenetrable. Another benefit of using a USB flash drive to unlock your computer is that you relieve yourself the burden of memorizing the passwords. But it’s not all good. For one, you will get a headache if you lose or damage the USB lock key. You might not have access to your own computer if you lose the key. Always make a backup of the USB security key so as not to lose important data in the event the key is lost. In this article, we are going to take you through the various software you can use to password-protect, lock, and unlock your Windows PC with a USB pen drive. Let’s have a look at them. Predator is one of the most popular software to turn your USB into a security control device. 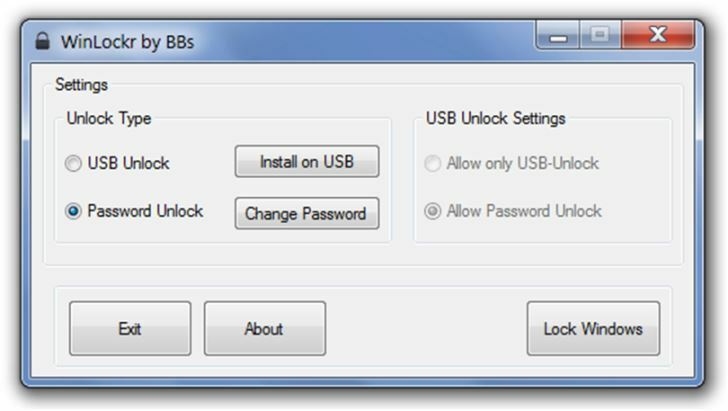 It is a free Windows program that turns your USB drive into a key that locks your computer once unplugged. To unlock the computer, you will need to plug the USB drive back in. Anyone who tries to access your computer without the USB drive receives an epic message “Access Denied”. To get started, follow the instructions below. Once prompted, plug in your USB flash drive. A dialogue box will then appear asking you to create a password. Take note of the key settings in the preference Window. This is critical since it gives you the guidelines on how to unlock the computer should you lose the USB drive. Predator is one of the most powerful security tools and it comes with a per-user customization and a built-in scheduler. The built-in scheduler can limit computer access to certain times of the day. In case you lose the USB lock key, per-user password can be entered instead. 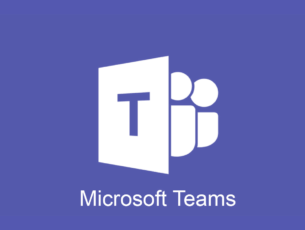 These are very powerful features that you won’t find in its competitors. 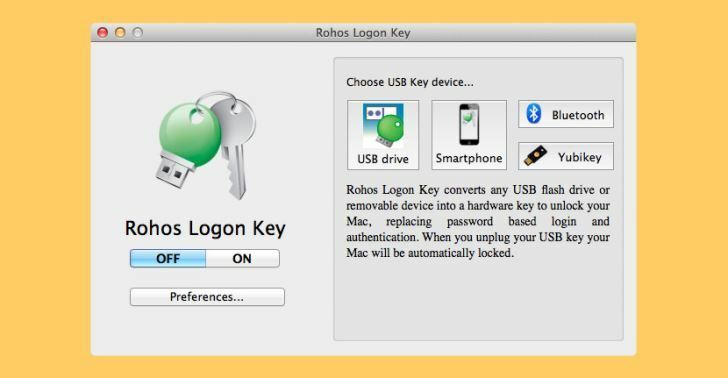 Rohos Logon key is a multi-platform access control program and a secure authentication tool that makes use of USB drive to lock and unlock your computer. There is a free version and a paid version. The free version has a lot to offer though you have to pay $32 to access the premium features. Just like Predator, Rohos work by storing your login info and automatically inputs your credentials when the USB drive is plugged in. Rohos conforms to the highly esteemed NIST principles on data security. Its USB security system does not allow creation of key duplicates and all the data on the key is secured with AES 256-bit encryption. This makes Rohos more secure as it does not allow anyone to make a clone or a duplicate copy of the key. It’s also very convenient as it has an emergency login system that grants you access in case of lost or broken USB. Follow the steps below to set up and use the Rohos Logon key. Once you have Rohos up and running, you will realize it’s simpler and more straightforward than Predator. USB Raptor enables you to turn any USB drive into a security key that can be used to lock and unlock your computer. The tool automatically locks the computer when a specific USB drive is unplugged from the computer and unlocks when the USB is plugged back. 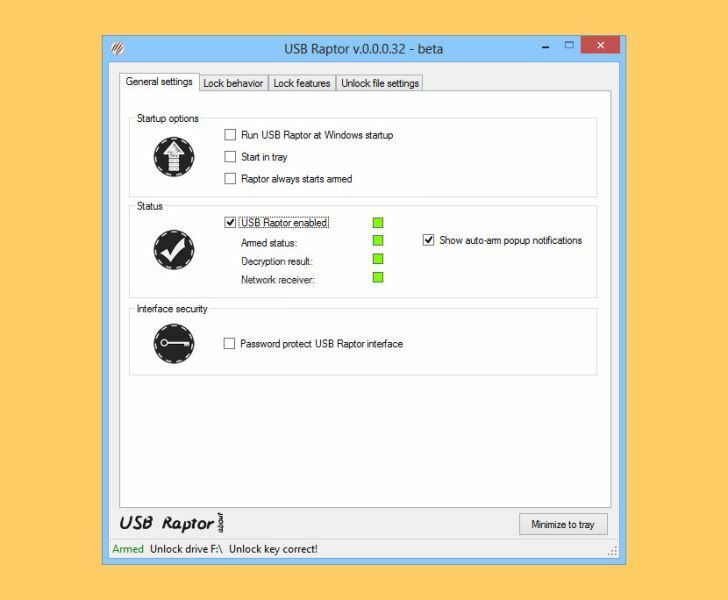 USB Raptor works by constantly checking the USB files for the presence of certain unlock token with encrypted content. If this specific file is found, the computer unlocks otherwise it stays locked. 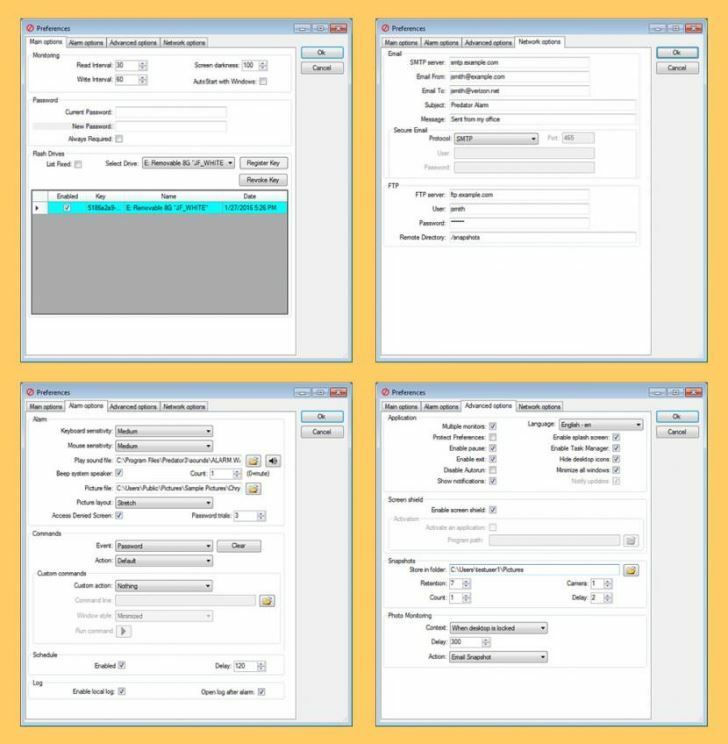 The program interface gives you clear and simple configuration options. All you need to do is create a password for your chosen USB drive and the software will create the lock file it requires to lock and unlock your computer. To avoid potential problems in case you lose the USB drive, you can enable two additional ways to unlock the system: via network message or password. You can even set the time frame within which the system should lock after removing the drive and the system won’t lock during this timeframe, which is also necessary so as to avoid unwanted locks. WinLockr is another popular freeware that lets you lock or unlock Windows computer using a USB flash drive. It features a simple interface that displays the main functions of the application in a single Window. The first step in using WinLockr is to create a master password which will be needed in the unlocking process. When your PC is locked, the unlocking window is displayed in two modes: a full-screen mode or a mini window. The program supports automatic keyboard locking. In addition, it features a unique shutdown prevention feature that prevents restarts or shutdowns when the computer is running. WinLockr also disables both the keyboard and mouse for extra protection and can only be released by a key combination. Even if someone discovers your password, their attempts will fail because they will need a key combination to unlock the keyboard. This adds an extra layer of safety and keeps off any unauthorized access to your computer. To use this software, simply launch it after the installation process is complete and create a password. Once prompted, plug in the USB and choose ‘Install on USB’. This automatically configures the device to act as a locking mechanism. USB System lock is an open source locking freeware that enables you to unlock your computer when a specific USB drive is plugged in and automatically locks the system once the drive is unplugged. The software can run on almost all USB devices including Card Readers, MP3 players etc. The only limitation with this software is that it can only protect your computer under the normal boot. It does not run under the safe boot. Other than that, the program is really good and simple to use, adding an extra layer of security to your PC. USB lock keys are very convenient as they don’t require you to memorize passwords from time to time. Have you used any of the above keys before, or perhaps you know of other handy USB lock key software? Let us hear your thoughts in the comments section below.